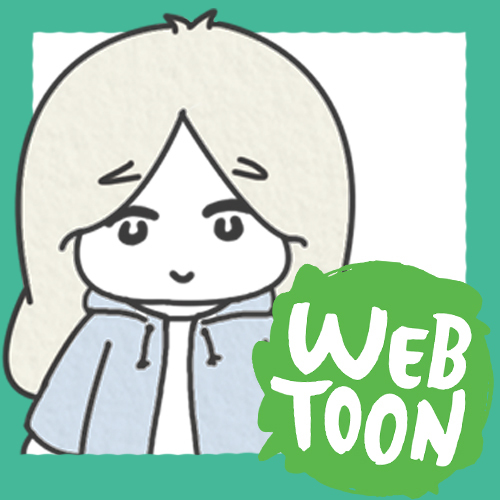 Cherry Blossom in Korean is “벚꽃” (pŏt-kkot), which I love because even the writing looks like little blossoms! 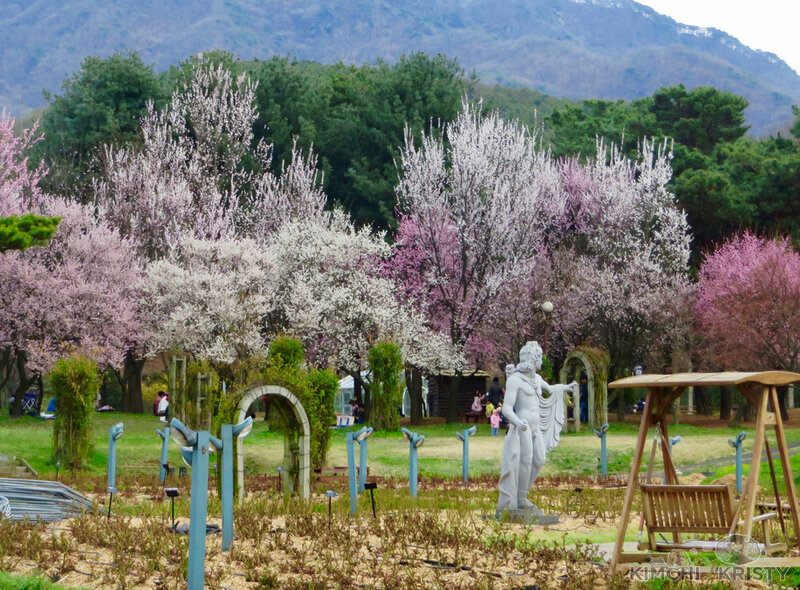 I’ve been in Korea for a few years now, and every year I look forward to the few weeks in spring when the cherry blossoms are blooming. 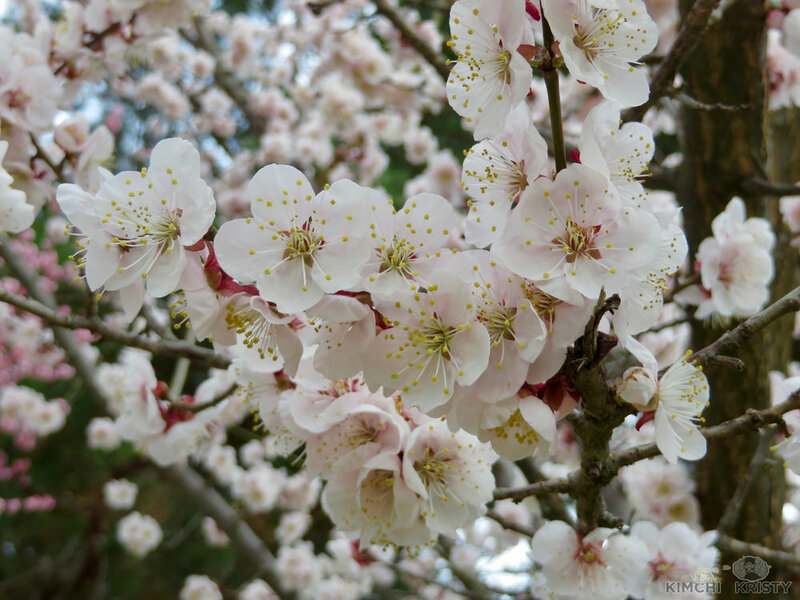 Growing up I always collected photos and paintings of cherry blossoms and wanted to see them in real life one day. Now I have seen them in several different places and it feels just as magical every time. 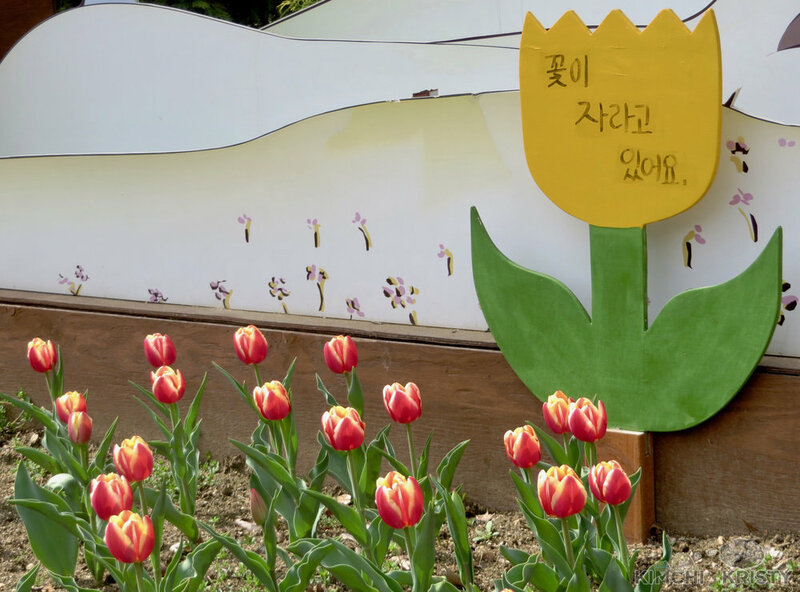 My favorite place to go to see the blossoms is Seoul Grand Park (Subway Line 4, Exit 2), because there's snacks, a rose garden, a petting zoo, and all sorts of other things to see at the same time! It's also very spacious so I don't feel too crowded, and I don't have to worry as much about other people being in my photos. This year I went a little too early so not many of them were blooming yet, but I was able to find plenty of things to take photos of. 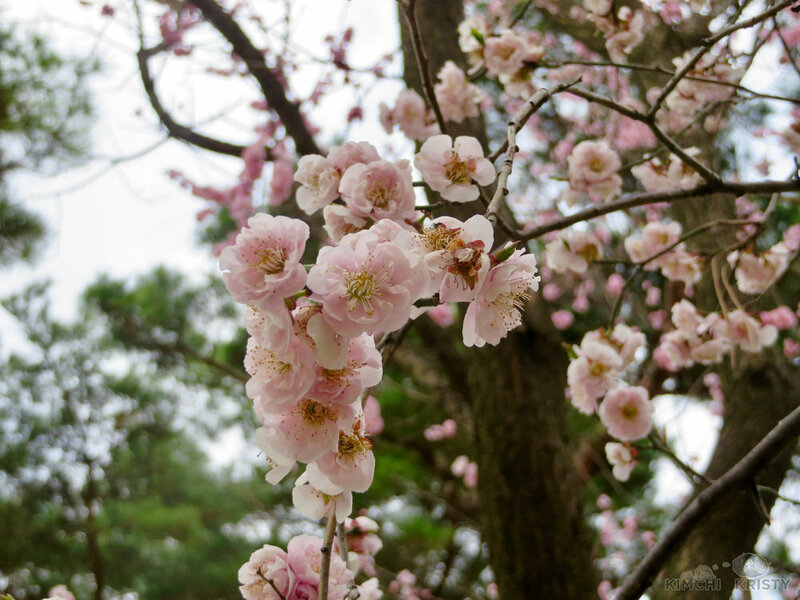 I found that the trees in Korea have much paler petals than I expected, and my first couple years here I didn’t see many “pink” trees, but more white with very soft pink colors when you looked closely. 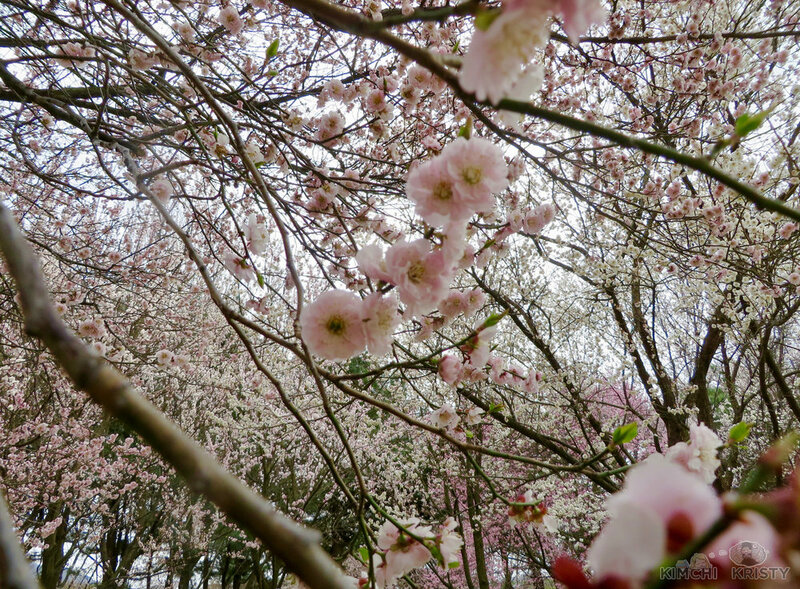 (However I noticed way more pink trees this year, and I'm not sure why, but I loved the mixture of white and pink trees so I took a lot of photos of them.) 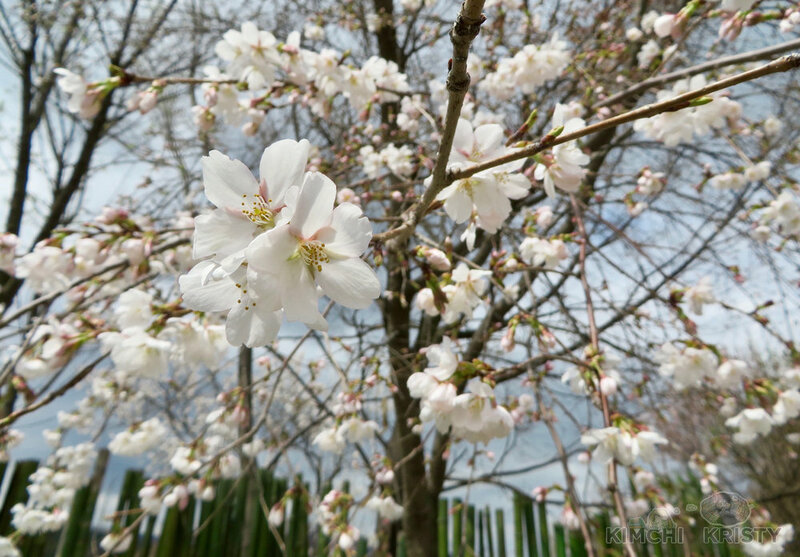 At first I didn't really like how pale they were, but then I realized that when they're grouped together these paler blossoms look like fluffy clouds or cotton candy, and I've grown pretty fond of the color now. 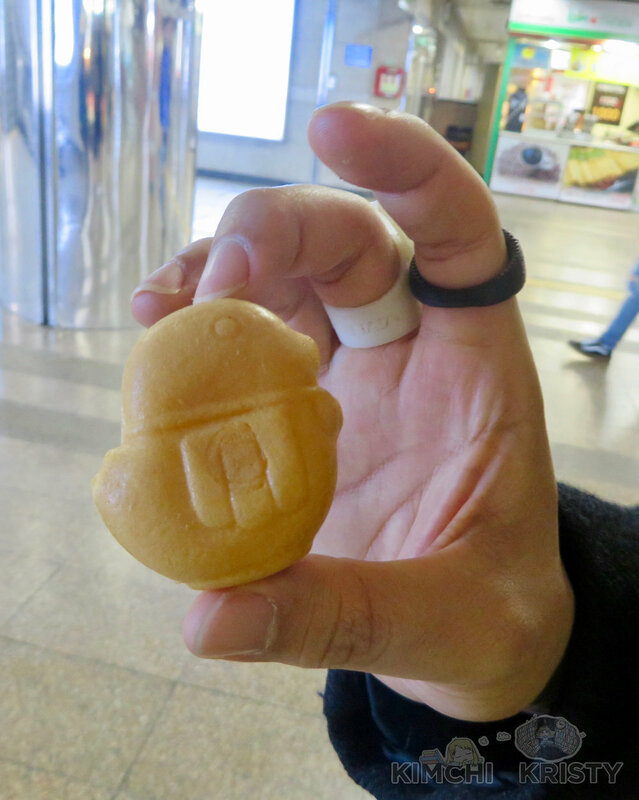 In the subway station you'll find a snack shop that sells typical Korean snacks like fish cake, and they also sell a type of Deli Manjoo (custard filled bread bites) shaped like chicks called 삐오꼬 (Ppiokko), as well as 호두빵 (Hodubbang), which are little walnut bread snacks. 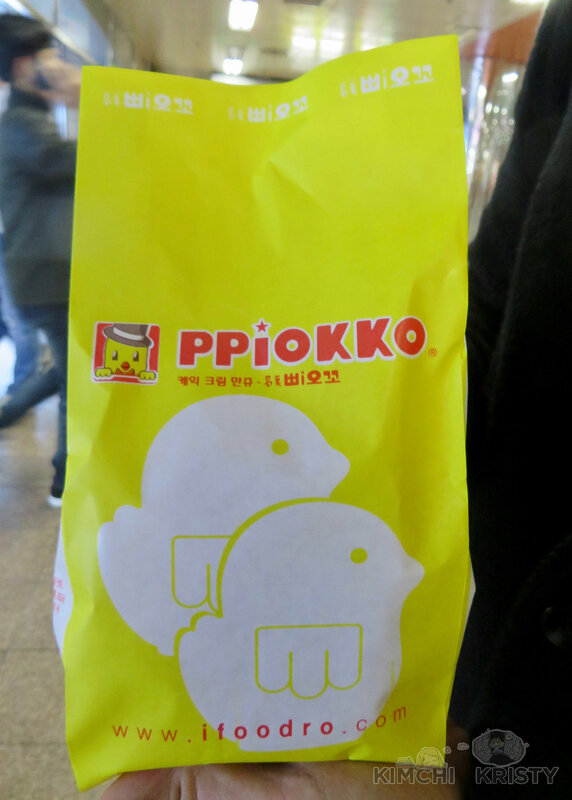 There are lots of things that you can buy in the park as well, but I always make an effort to buy a bag of these before because they're cute and super delicious, plus it's only 2,000 won! 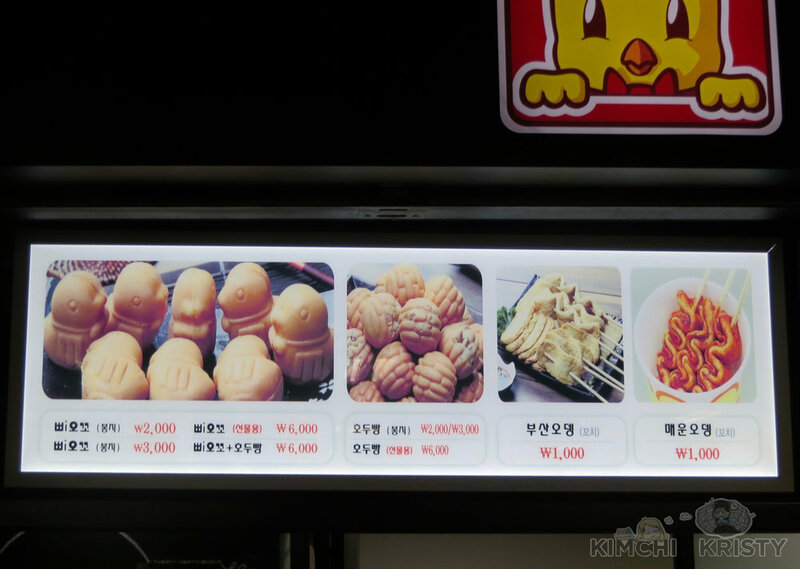 Along the road once you leave the station you can buy kimbap, rice cakes, tornado fries, ice cream, grilled squid, and there's even a KFC there. 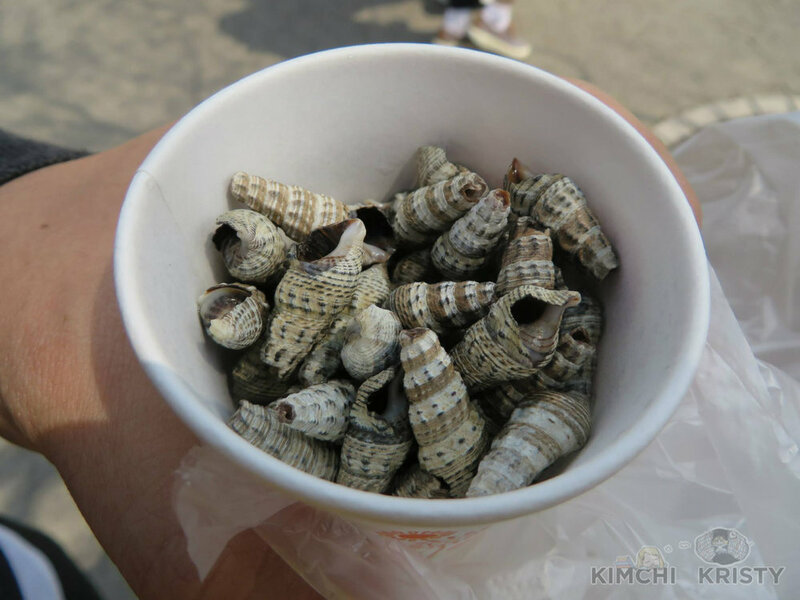 If you're more adventurous you can also get silk worm pupae (번데기/Beondaegi) or tiny sea snails (소라/Sora) boiled in water and served with little toothpicks to eat. 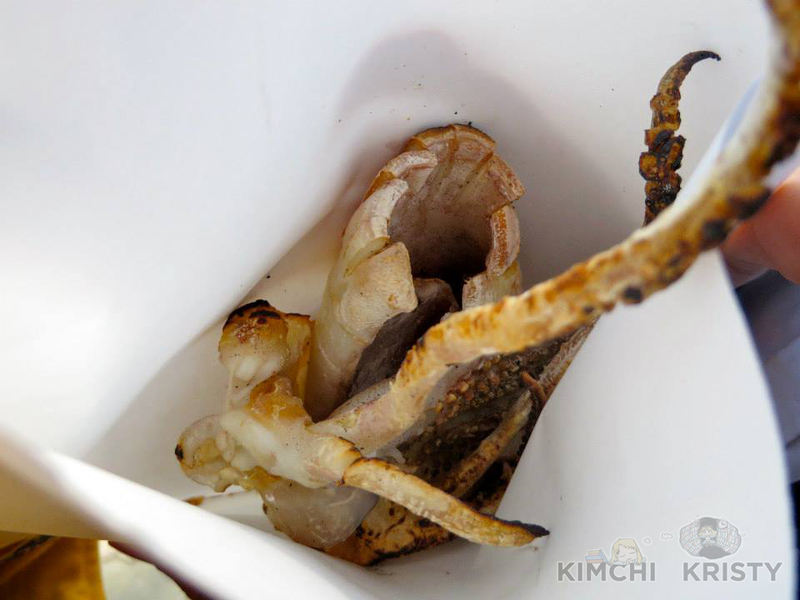 I love the squid and sea snails, although the sea snails are difficult to eat and get frustrating after the first few. I have had the silk worms before (they taste like boiled nuts) but I couldn't find photos of it. You can ride the gondola lift around the park as well, but it's a bit expensive and has a long line most of the time, so I usually just walk. 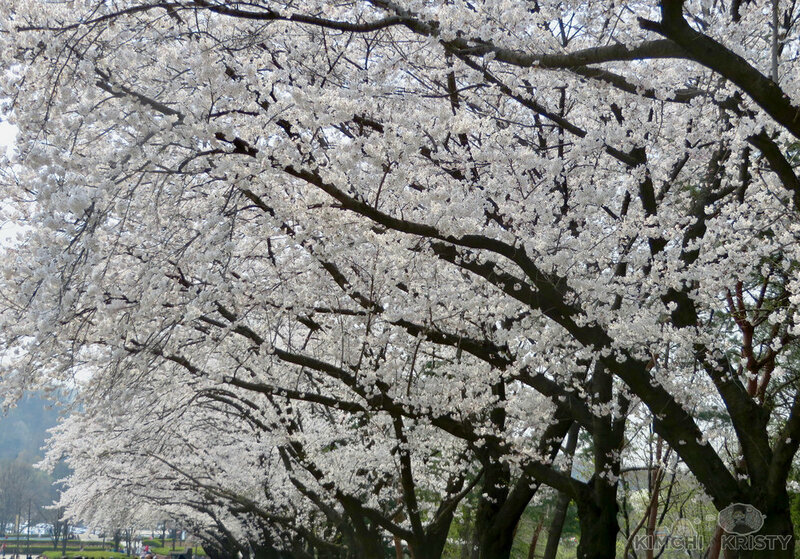 There are all sorts of plants to see when you go to the park, not just cherry blossoms! The rose garden doesn't tend to bloom until May, after the cherry blossoms have passed, but there are also tulips and magnolia trees all over too. You get a really nice view of the river while touring the little zoo area. 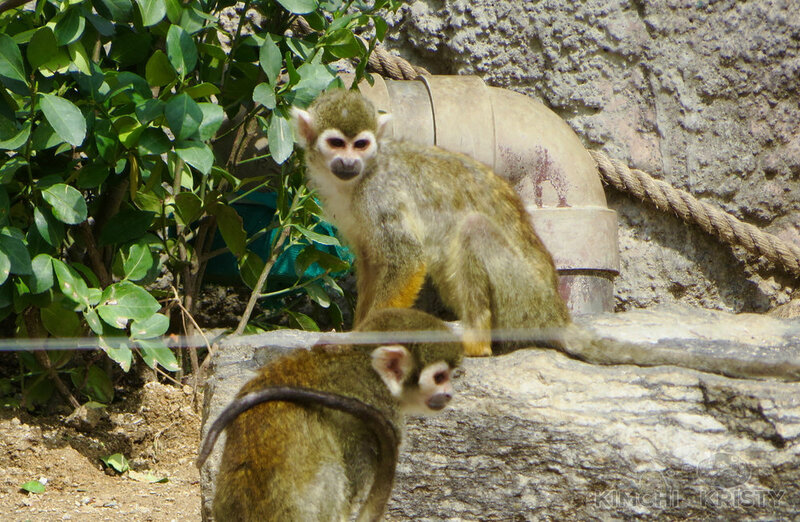 I'll be honest, I don't really like monkeys that much. 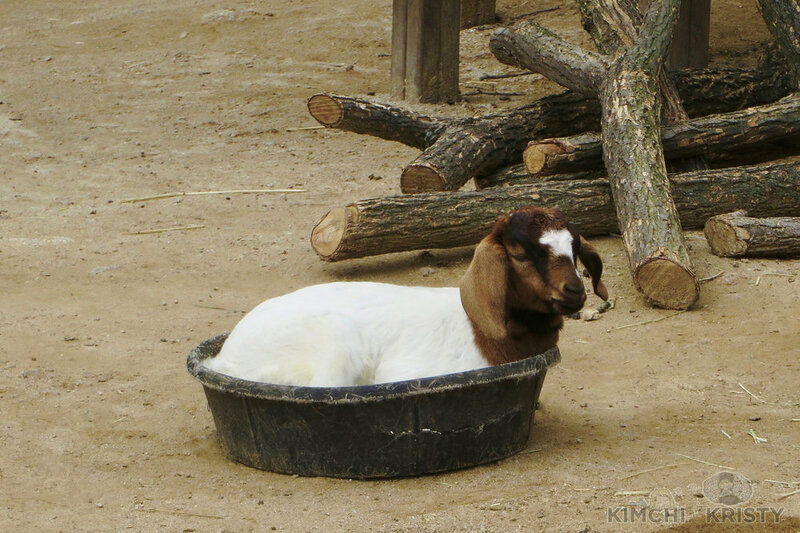 There are a lot of them in the zoo area (not the petting zoo area obviously) but I only really liked one of them. 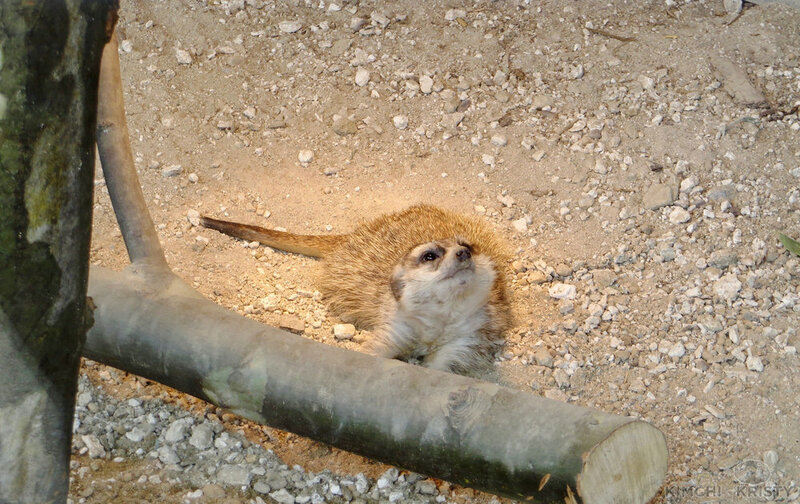 In the zoo area I also saw adorable meerkats, and one of them was particularly photogenic. This cat is not part of the zoo, but they just wanted to stalk the little critters and hang out I suppose. 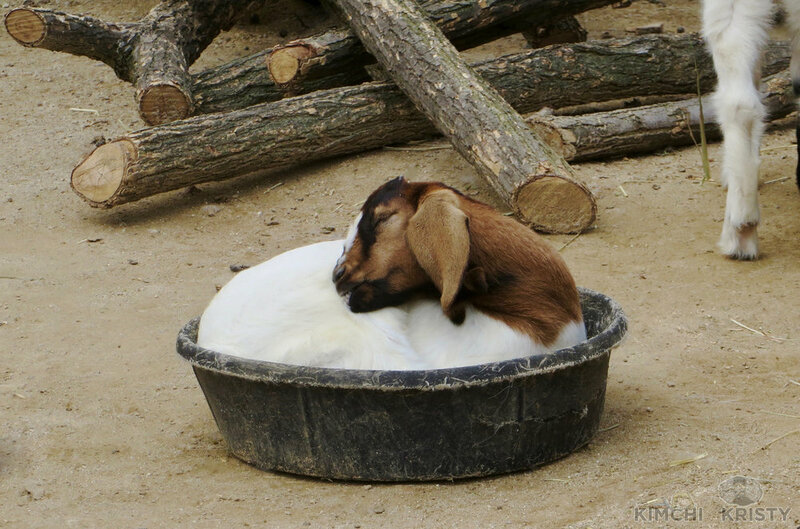 This little goat didn't want to leave his bucket and it was adorable. 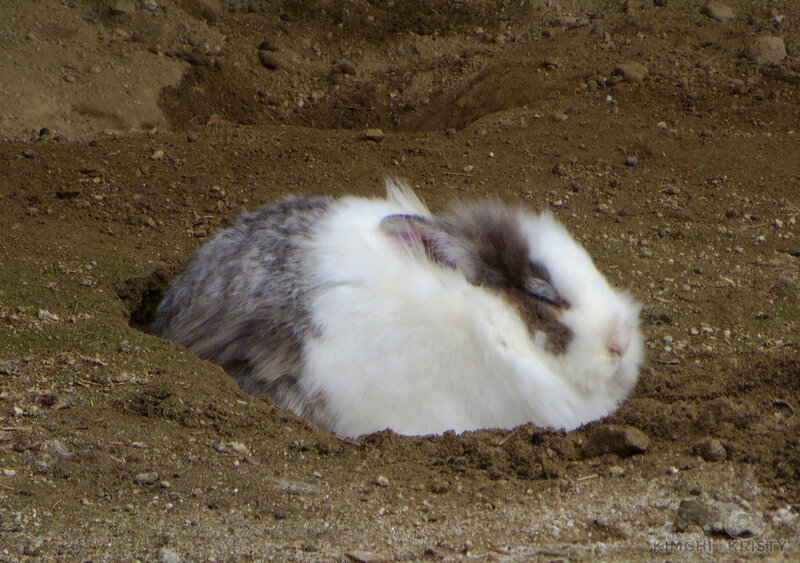 The main reason I wanted to go to the children's zoo again this trip was for the bunnies. 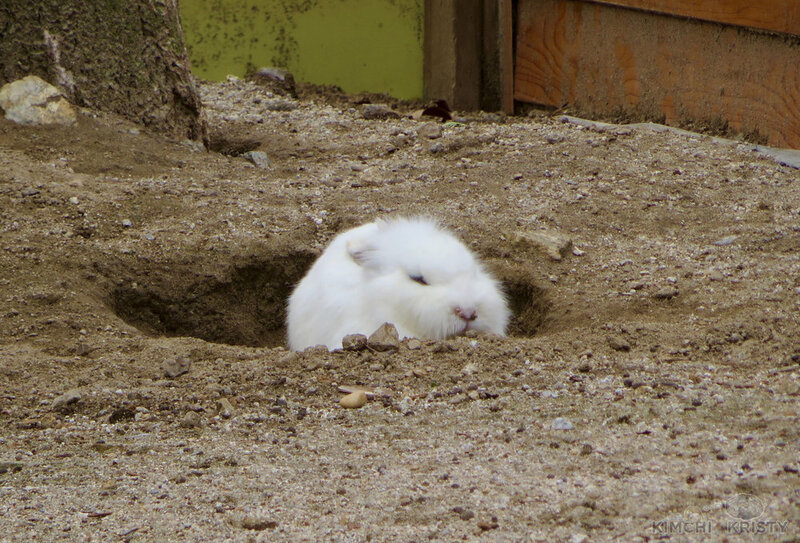 They have domestic and wild bunnies there, and most of them are just round fluff balls. 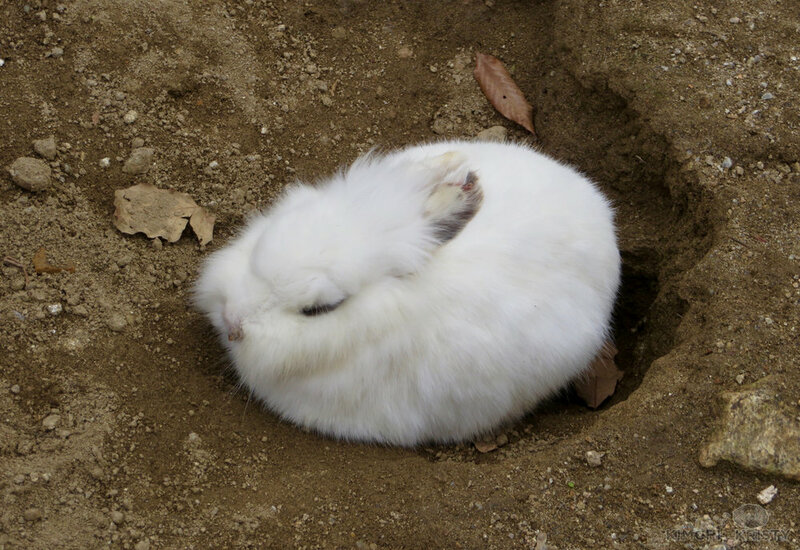 I could watch them for hours because it just gives me joy to see fluffy round marshmallows sleep in a tiny hole after they dug it up for a nap. As I said before, there seemed to be more pink trees this year compared to others. It may just be because I spent more time in another area of the park than I did before. 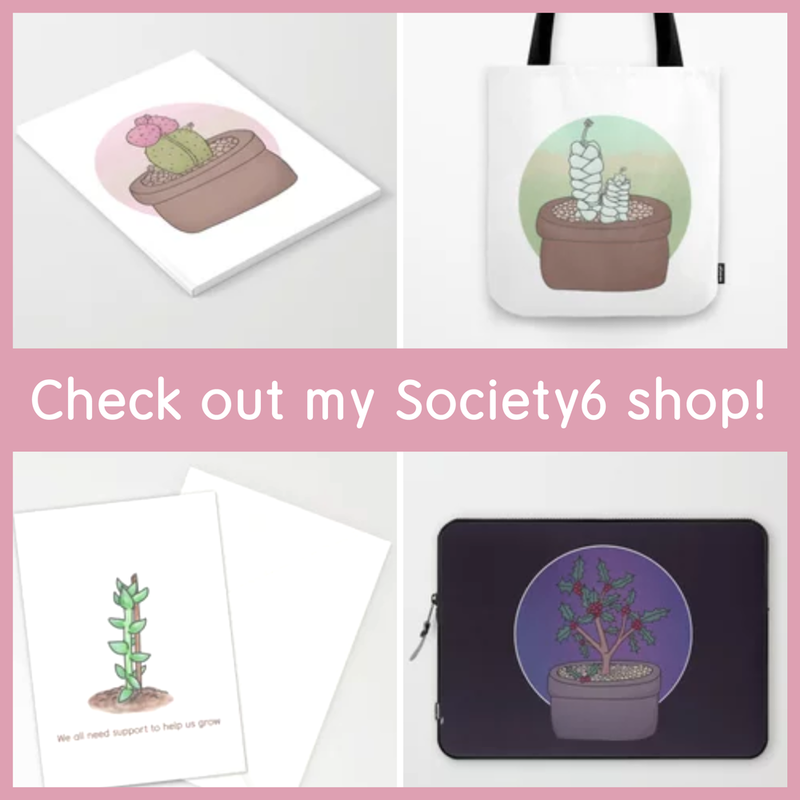 I took several photos of the flowers in this area, so enjoy! 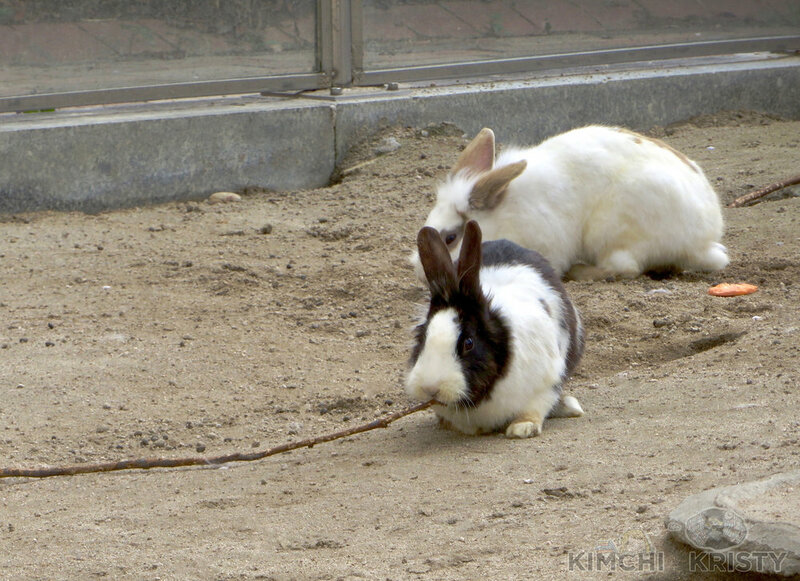 The Seoul Zoo is also in this area (not the small one I went to here, but the huge one) and the MMCA if you like museums. You can also get a wonderful view of the park from the top of the MMCA and can see everything! Like I said before, I went a little too early this year because I didn't know if I would have time to go later. So the plants weren't all beautifully green and all the trees weren't in full bloom, however it was still a lovely trip. 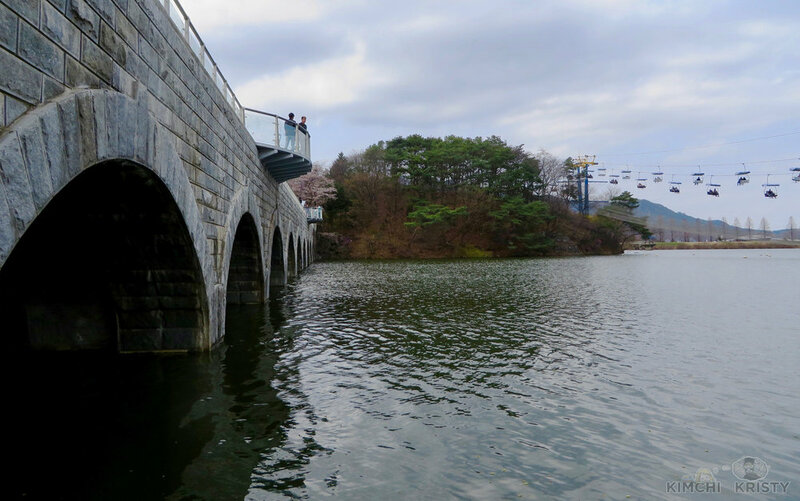 No mater what season it is this park is beautiful, so if you're in Korea and consider yourself a nature lover like me I would really recommend spending at least a little time in Seoul Grand Park.